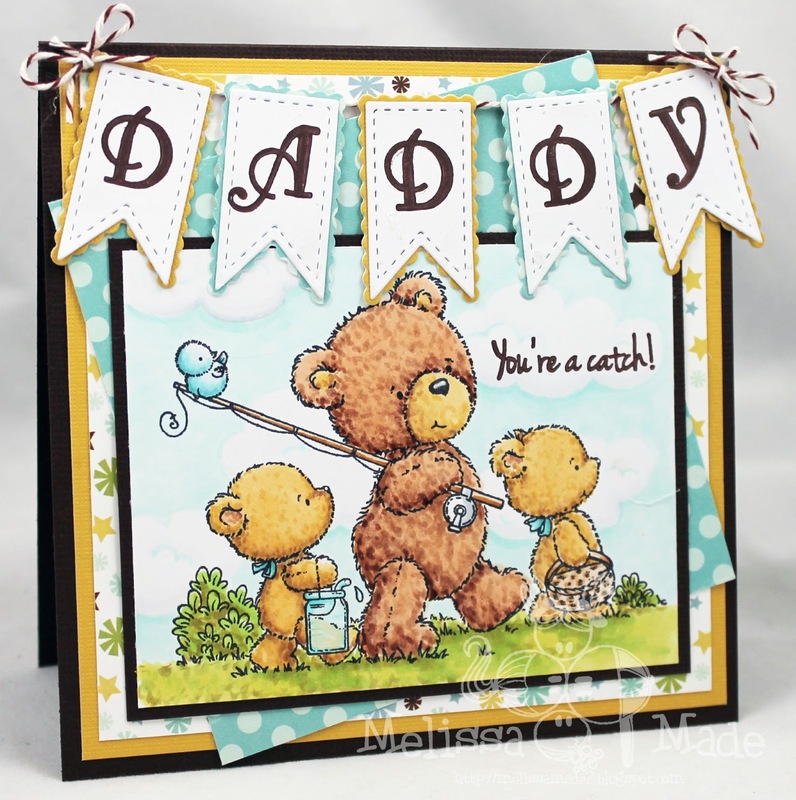 Melissa Made: Daddy card and Trend Challenge at SP & Company! 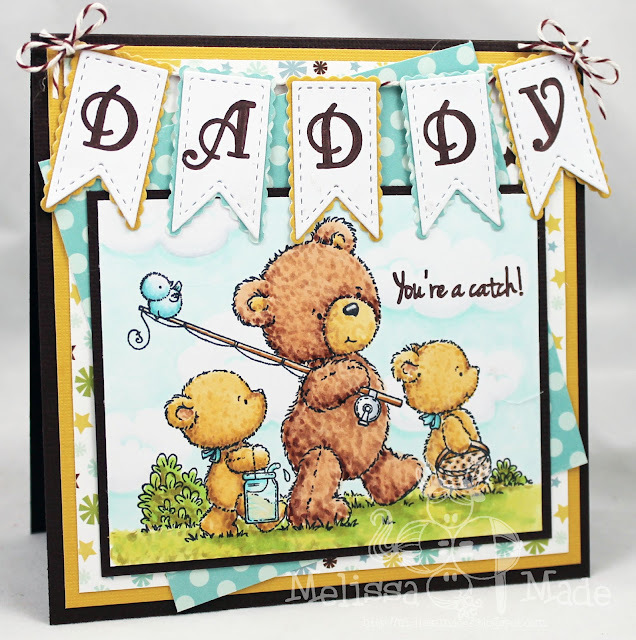 Daddy card and Trend Challenge at SP & Company! Hi ya everyone! Did you know that I'm part of the SP & Company team now?? I am thrilled to be part of this super talented group first, and also, the number of amazing items that Sam has in the works for SP & Company is simply drool worthy :) The above image is one of them. This is a little sneak peak of an image to come to SP & Co this month. The set is called Best Dad Ever and has a number of fabulous and fun sentiments for Father's Day! In addition, there is a beautiful trend challenge starting this week that's all about banners and flags. That's why I used my new favorite banner set from SP & Company called Big Build a Banner 1 Stamp set and matching die. Also, if you haven't checked out the new storage system for dies and stamps you have too! I ordered a ton of them for myself and can't wait to get more for all my stamps! They are AWESOME and come in some fabulous colors too! Wowee what a fantastic card & I adore the banner. I like this banners, but I like this image more! So perfectly colored. Loveee! Congrats on the new team!! Adorable card!